An ancient Hawaiian mele (chant) from the Pele family ends with the lines “O ‘imi‘imi, o nalowale, o loa‘a la e!” (Seek that which has been lost, and it will be found!) (Ho‘ohila Kawelo Collection). I like to think that the kūpuna of old had a vision of the future, recognizing that while things would change, a generation would arise that would seek out those things thought lost. Library of Congress map collection where a group of Hawai’i researchers explored the Hawaiian Collection. Without the foresight and commitment of people who organized and formed repositories of the mind and of documents, those things “lost” may never be found. For the last 42 years we’ve been haunting collections seeking information on the traditions of place, and learning about the relationship shared between people and their living environment. 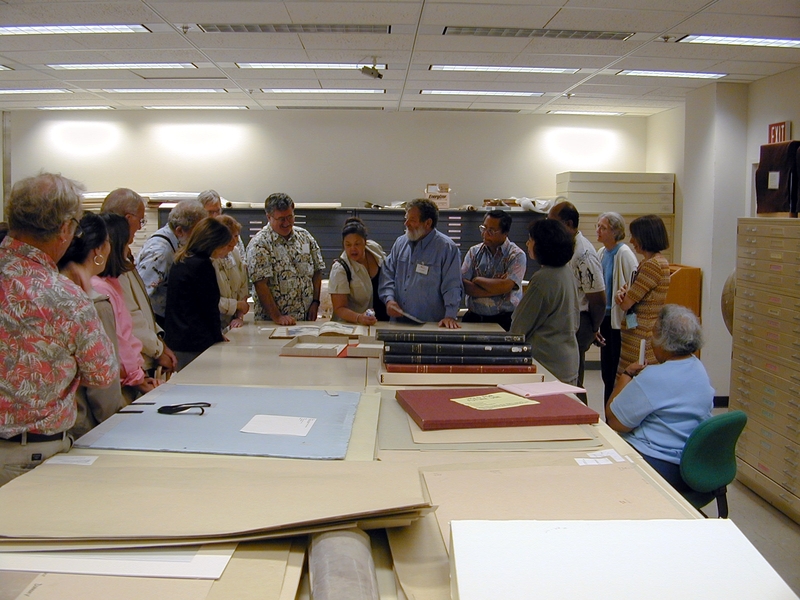 The collections range from small family repositories to historical societies, public and agency archives, and national institutions, and are as far apart as Lāna‘i to Hilo, Honolulu, Denver or Boston. The Houghton Library, Harvard, where we learned about the ability of scanning Hawaiian records to digital format, enabling us to bring valuable historical records back home since written as early as 1820. One of the amazing discoveries is that regardless of how many resources may be found in any given collection, there is always more to be found elsewhere. For example, a review of kingdom surveyor field books at the State Survey Division, leads one to associated but detached communications housed in the State Archives, and from there, one finds leads to the old U.S. Coast and Geodetic Survey Branch collections in Silver Spring Maryland. Each repository has discrete documentation, which, when pulled together provides us with a more complete understanding of the past. This is also one reason why digitizing collections is very important. For various reasons, one cannot always touch the paper. 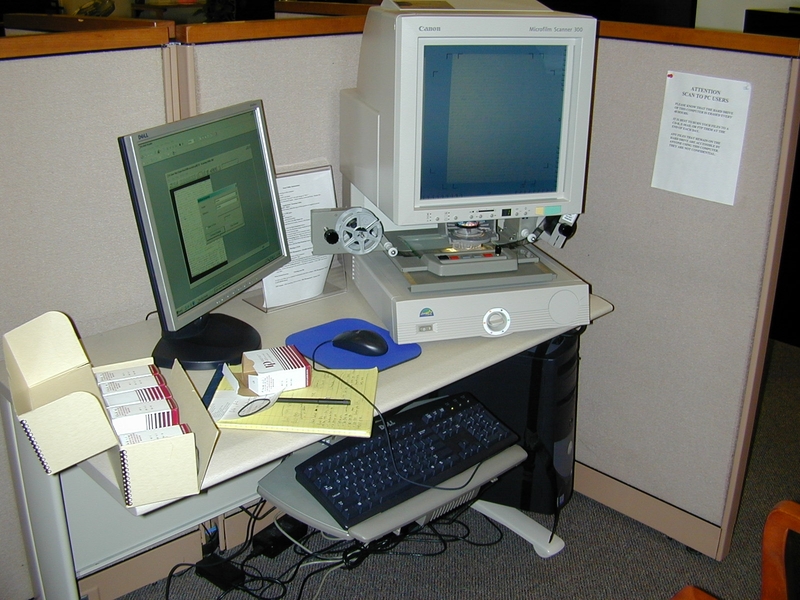 But scanning collections and sharing them helps to bring valuable information to all people (it also reduces the stress on rare resources by minimizing handling), and the better informed we are of our history, the better prepared we can be to be responsible stewards of the inheritance that we leave to the future. 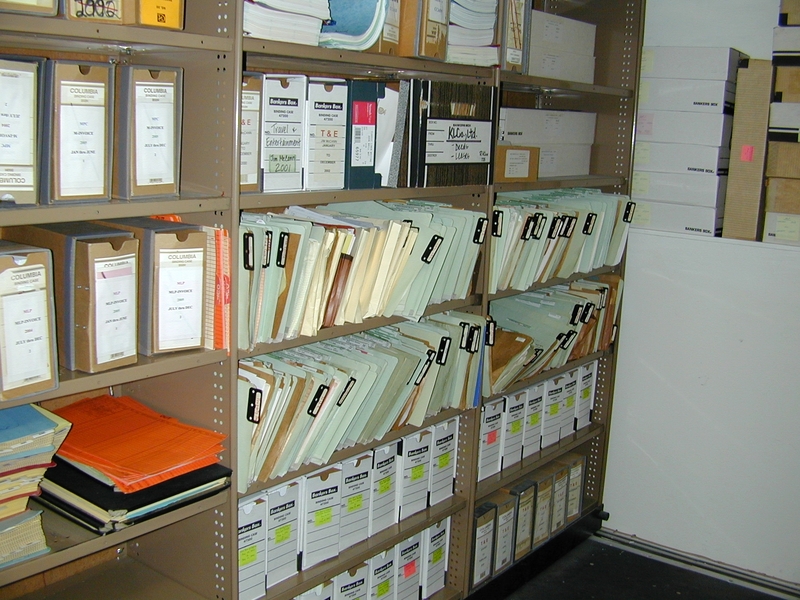 Un-cataloged collection of land records and genealogies (land title) on the island of Maui. Much as the preeminent native Hawaiian historian, Ioane Papa Ii wrote in his paper series published in the 1860s, the fragments of history are indeed scattered far and wide (“Na Hunahuna no ka Moolelo Hawaii”), but from the fragments clearer stories of our history may be found. Then add to the research in collections, the oral histories of elder kama‘āina and it will be seen that fragments of traditional knowledge still lives in practice. On top of that one will find that being on the land for which records of archival collections and memories of elder kama‘āina are found, brings a history and legacy of knowledge back to the present day. Mahalo to those who have worked to collect the notes, photos, maps, journals, receipts, and every small or large record from the past. Everything has value to someone, and through the records recorded by those who came before us, we are able to understand how we came to where we are, and have greater appreciation for the importance of Hawai‘i.